The world’s best-selling and most complete 3D anatomy model comes to iPhone. 3D4Medical, the world’s leading developer of 3D medical educational technology, today announced a major milestone in the evolution of its multi-award winning ‘Complete Platform,’ with the release of a dedicated version of ‘Complete Anatomy’ for iPhone. The app is now available for download on the App Store. Complete Anatomy for iPhone brings the full anatomical model to users' pockets. The world’s most anatomically-accurate 3D model is now available on the world’s most popular mobile device. Complete Anatomy has been completely rebuilt from the ground up for iPhone, creating a streamlined, efficient workflow focusing on the things the user needs most: content and information, in a portable format. Aside from the 6,500 structures available in Complete Anatomy’s incredible human model, Complete Anatomy For iPhone also features groundbreaking AR technology (available on compatible devices running iOS 11). Users can experience the future of anatomical learning by hitting the in- app AR button to augment their 3D model onto any surface. See anatomy come to life in real 3D in your own environment through your iPhone! 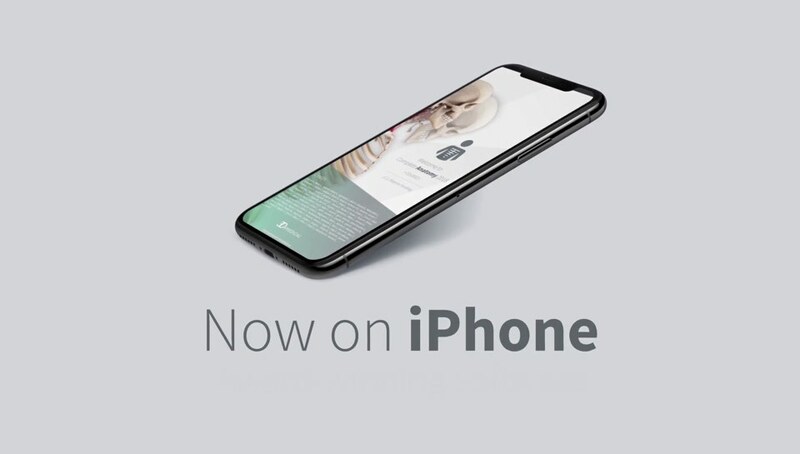 As with all versions of the platform, Complete Anatomy for iPhone provides users with a whole new way to learn anatomy; sit back and be guided through a series of interactive Lectures, Modules or Courses on your chosen topic, presented by world-renowned experts in the field. Undergraduate Human Anatomy Systemic and Regional, and Cadaveric Images courses are already available, with courses on Histology, Ultrasound, Radiology Histology, and Clinical Correlates all launching in the coming months. 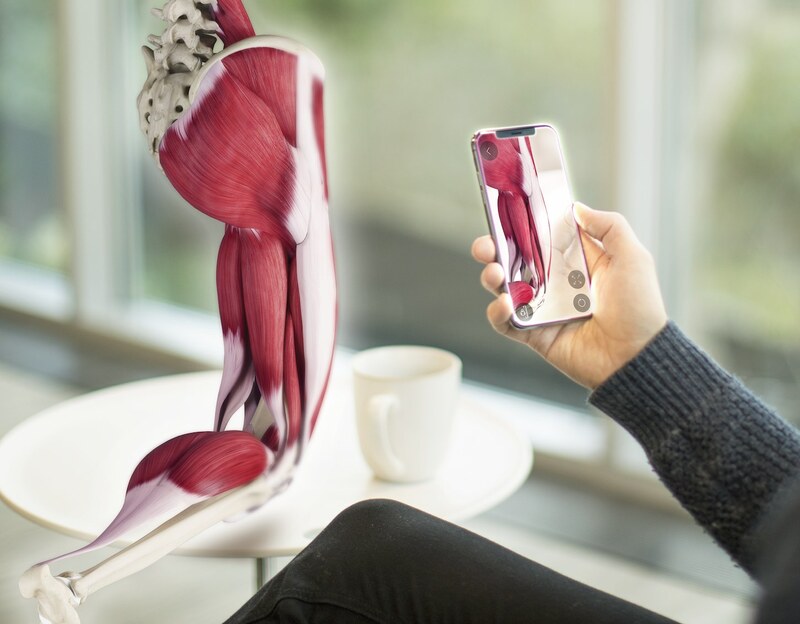 Bring anatomy into the real world with AR Mode in Complete Anatomy for iPhone.